I see this question pop up a lot, so I wanted to take a moment to describe what I have done when Caroline wakes up early from a nap. 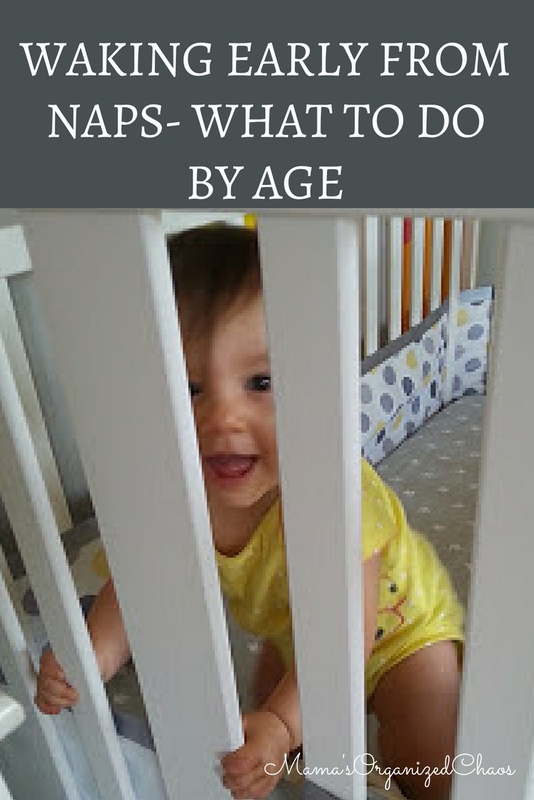 Below you’ll find each age (from 1 month to 6 months) broken down with what to do. I will start by saying that it has completely changed with her age. This is one of those things that, as she matures and is able to handle different circumstances, I challenge her a bit more. At this age if Caroline woke up early from a nap, I simply went to get her. We were trying to have a schedule as our goal each day, but the reality was just that- it was a goal. She was brand new and just figuring out her world. If she woke and was upset, I always grabbed her. 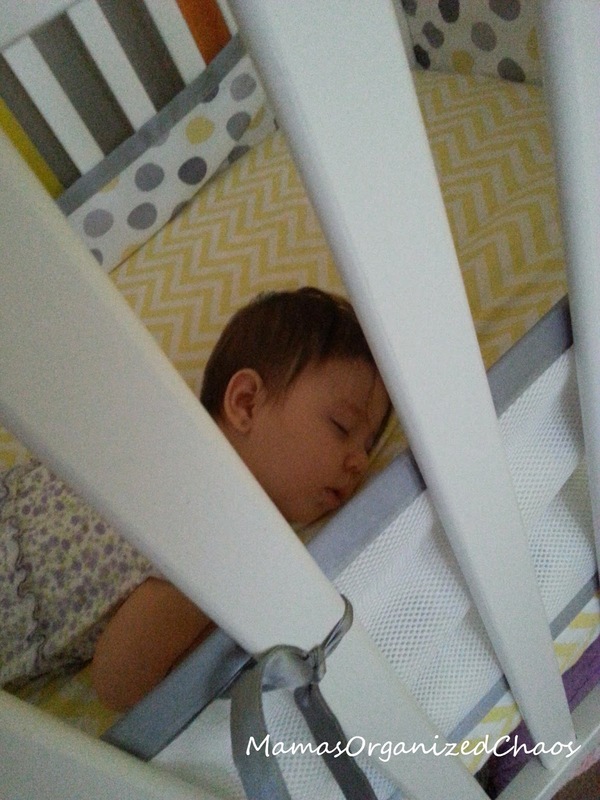 At this age, she was also sleeping in various locations- the swing, the day dreamer, the bassinet, the couch, our bed, in my arms, etc. Naps were wherever they would happen successfully! In an attempt to still keep eat, wake, sleep cycles, I would feed her and adjust our “schedule” as needed. We focused on the routine of eat, wake, sleep, and getting enough feedings in. At this age I also woke her from naps if they went too long (unless it was allowing us to get back on schedule). This was to make sure I would be able to feed her enough times throughout the day. Pretty much the same as the first month. The only change here is that I would let her “fuss” a bit more. I never left her to cry if she woke early, but I did let her fuss a bit to see if she would go back to sleep. During this month I changed things up slightly. I still only let her fuss and not cry. If she didn’t go back to sleep I would attempt to put her back to sleep. If that didn’t work, we had wake time until her scheduled feeding time. She was on a good enough schedule at this point with her feedings, that I didn’t want to disrupt that. So, instead of doing eat, wake, sleep cycles, we would occasionally do eat, wake, sleep, wake cycles. I kept the last wake time quiet and restful. At this point we had started sleep training, and her schedule was working perfectly. If she occasionally woke early from her nap, I would let her cry for 5 minutes. She often put herself back to sleep in those 5 minutes (even if they were all out screams). It was an amazing learning experience for me. Had I gone in and let her get up, she would have been getting much less daytime sleep which would have directly impacted her nighttime sleep. Just by allowing 5 minutes of crying, she was able to teach herself to transition sleep cycles much easier. If the 5 minutes of crying did not work, I would go in and have quiet wake time as described above, and feed on schedule. Due to the sleep training that we’d done, Caroline rarely woke early from naps from 6 months and up. If and when she did, I was able to pinpoint exactly why she was waking early and it was usually due to learning new skills. She wakes up happy and rested at this point, so when she wakes I leave her in her crib for the FULL nap time. She will only cry if she is still tired, in which case she usually puts herself back to sleep. If she is awake, she is happy and just looking around and practicing her new skills. I’ve noticed a few things that help tremendously for us. 1. In the earlier months especially, make sure to get FULL feedings. 2. Make sure that wake time is not overstimulating. 3. Make sure that wake time is the appropriate length by adjusting your schedule if need be. 4. Allow baby to practice new skills right before his nap. 5. 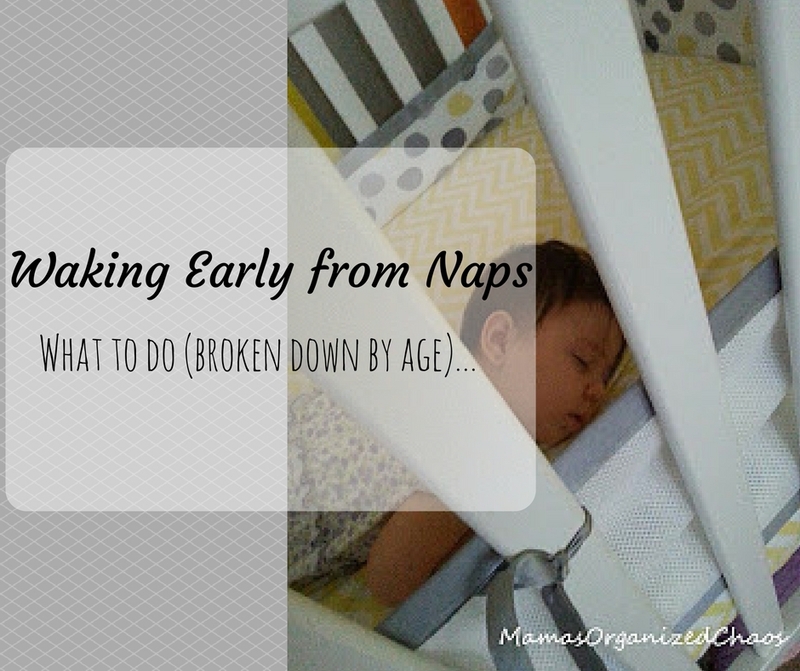 Teach baby how to transition sleep cycles by doing some form of nap training or sleep training. If your baby wakes at around the 20-30 minute mark, he is overstimulated and/or overtired. (In other words, the 45 minute intruder, as it is referred to, can be a challenging mystery to solve). Click this link--> to follow our journey through weekly emails and never miss a story! Hi there! I’m Katrina (aka Mama). 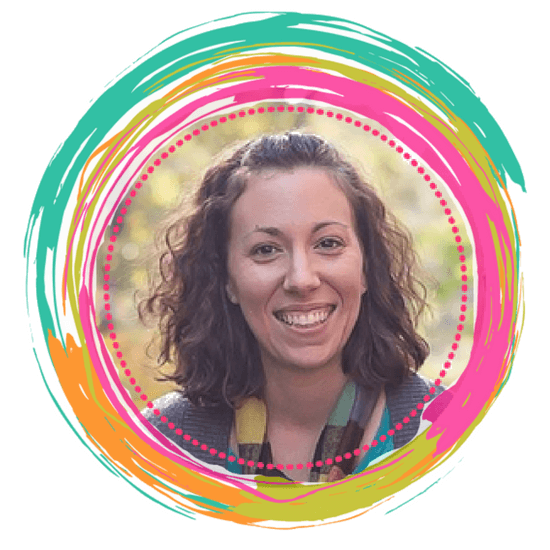 I am a former engineer and chemistry teacher, turned stay at home mom and mom blogger. I have been blogging since 2015, and have taken my love of engineering and science, and tried to applied many of the same methods to my parenting adventure. I have a huge passion for Babywise and prioritizing sleep for our children. I am mom to 3 (including one angel baby that had trisomy 13). A huge mission of mine is to share her story and legacy. I am a big believer in being real and doing what works for YOU. Click here to subscribe to my weekly newsletter to follow our story. This blog is intended to be our story and our ideas- including successes and failures along the way. You can also find me published at Today Parenting, Her View From Home, VitamedMD, Love What Matters, and The Mirror. Follow me on Facebook and Pinterest for more parenting tips and to hear more about our journey!